To keep MWO running there are many different jobs and skills needed. MWO has a team of committee members made up of players who contribute their time and energy to help the orchestra run smoothly. As the conductor of MWO, Phil's role is to rehearse the orchestra each week, select the music to perform and front MWO at Concerts. As a musician and educationalist he always endeavours to approach rehearsals with a great sense of fun as well as musical vigour! His charismatic and dynamic style in front of MWO is (usually) very well received! For further information about Phil Shotton, visit www.philshottonmusic.co.uk. 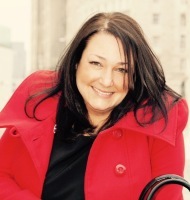 Kate was previously social secretary but is now the chair of MWO. It is Kate's job to valiantly try and keep the committee in order and keep them on the right track. She is also the co-host of The MWO Show. Kate has played flute since the age of seven and plays principle flute in the orchestra, which she enjoys immensely. She particularly loves how MWO brings together people from so many different walks of life with a common love for music. 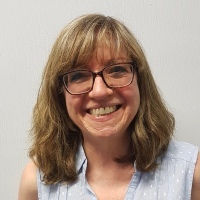 As Concert Secretary, Doreen is responsible for all band bookings and concerts and is the contact telephone number on the web site for any enquiries. She is also Librarian as she looks after the storage of the music when it isn't being played. 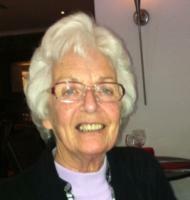 Doreen has been associated with MWO since its initial conception, when it was known as Maghull Royal British Legion Town Band. She plays Tuba on the back row and enjoys the vantage point of being able to see everything that is going on in the rows in front. 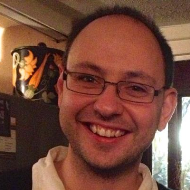 As band secretary it is Chris's job to organise and take the minutes of meetings, correspond with other organisations, administer the website and look after the Social Media accounts. Chris started learning the trumpet at age six, moving onto the trombone while at college. 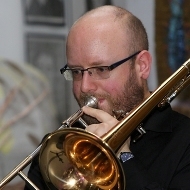 He was heavily involved with several Sefton Music Support Service Youth groups and after university was looking for a new outlet for his music, so in 2005 joined the orchestra as lead trombonist. As treasurer for the MWO it's Anna's job to look after the band's money and to prepare and present the Annual Financial Statement. 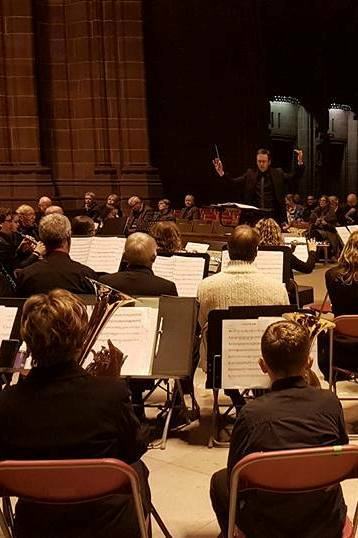 The funds MWO raise from performances and other sources go towards paying for new music and equipment and helping to run the band's various activities throughout the year. Sarah's role is to look after the social events for the orchestra. 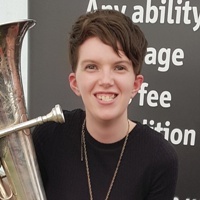 Charlie plays euphonium and has been a member of MWO since 2017. 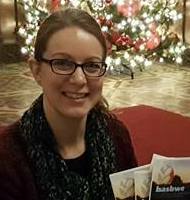 As press officer her job is to keep the media supplied with information about upcoming concerts and any other items of news concerning the orchestra. She is always on the look-out for ways to raise the band's profile and welcomes enquiries from the media about our activities. The job of Band Representative is to be a link between the committee and the members of the orchestra. Any members who have good ideas or problems relating to MWO can approach any of the band reps with their thoughts and their ideas or problems will be forwarded to the committee for consideration. Jen plays percussion with MWO and works in a local primary school. 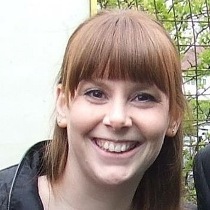 As well as being a Band Representative Jen is also MWO's Safeguarding Lead. 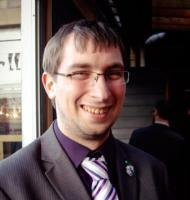 As well as being a Band Representative Adam is also MWO's Deputy Safeguarding Officer. 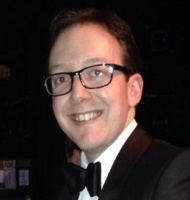 Adam joined MWO in 2011 after moving back to the area on the completion of his university studies, and currently works as a secondary school music teacher. When not found propping up the trombone section, he can be found propping up the bar after a rehearsal! Geoff assists Kate and the Committee by acting as Vice Chair. Geoff joined MWO a couple of years ago and leads the horn section like only he can, especially when he gets those top B flats.